A 9-year-old United States citizen was detained at a Southern California border checkpoint for more than 30 hours this week while the authorities said they worked to verify her identity. 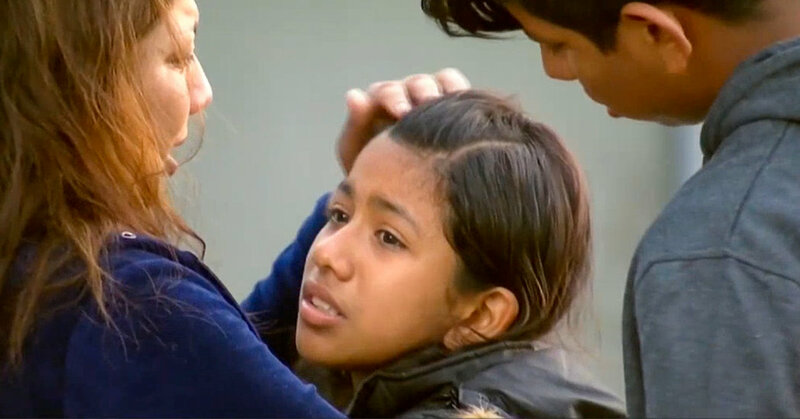 The girl, identified by NBC 7 San Diego as Julia Isabel Amparo Medina, had been making her daily commute from Tijuana, Mexico — where she and her 14-year-old brother, Oscar, live — to school in San Ysidro, Calif., on Monday, the news station said. Because traffic was moving slowly, Julia and Oscar opted to walk across the border rather than wait in the car and risk tardiness, according to NBC 7, which first reported the story. In an email on Friday, a Customs and Border Protection spokesman said two children arrived at one of the San Ysidro port of entry facilities for pedestrians at 10:15 a.m. on Monday. The children, whom the spokesman did not identify, presented a C.B.P. officer with United States passport cards, according to the spokesman, Ralph DeSio. “The younger child provided inconsistent information during her inspection, and C.B.P. officers took the 9-year-old into custody to perform due diligence in confirming her identity and citizenship,” Mr. DeSio said. A federal official with knowledge of the case who was not authorized to speak about it said the 9-year-old had provided inaccurate information to border agents, which prompted a series of protocols that agents were required to conduct. The need to go through that process and ensure that the girl was not a victim of human trafficking contributed to the length of her detainment, the official said. Eventually, border agents confirmed that the teenager was a United States citizen and he was permitted to enter the country, Mr. DeSio said. Then, around 6:30 p.m. on Tuesday, the 9-year-old girl was admitted to the United States and released to her mother after the authorities confirmed her identity and her citizenship, Mr. DeSio said. The episode involving the children came as the agency is being sued by the American Civil Liberties Union, which filed a lawsuit last month on behalf of two American women who were stopped by a border agent who said he was asking for their identification because he had heard them speaking Spanish. The cases have highlighted concerns over the power of Customs and Border Protection, whose agents have come under increased scrutiny as the Trump administration has sought to keep immigrants from crossing the country’s southern border. Thousands of people travel through the Tijuana-San Ysidro crossing every day for school or work. Julia’s mother, Thelma Galaxia, told NBC 7 that while Julia was detained, agents accused her of lying about her identity, saying that her passport photo did not look like her. Julia told NBC 7 that the authorities accused her of being her cousin rather than herself, and said she was told that if she would admit that she had lied about her identity she would be released. The children also told the station that agents had accused Oscar of smuggling and other crimes. The federal official with knowledge of the case declined to comment on the specific allegations made by Ms. Galaxia and her children but said that, in general, a person who appears to be lying to Customs and Border Protection officers is subject to increased scrutiny. Attempts to reach Ms. Galaxia on Friday were unsuccessful. The Consulate General of Mexico in San Diego did not immediately respond to a request for comment.